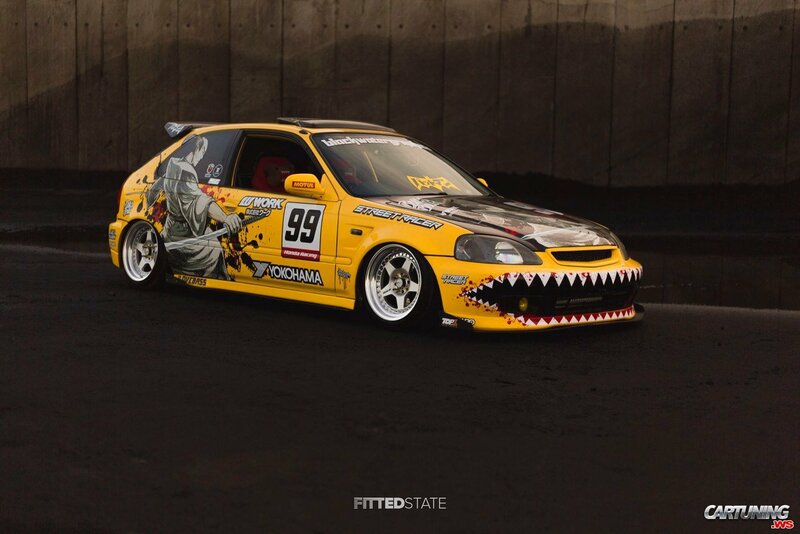 Yellow Civic EK with aerography in japanese style from Great Britain. People in all the world love these cars. So it`s popular base to build a car for track days.